Pink Ink and Polka Dots: Give a Way ends in 2 days! Give a Way ends in 2 days! Well the day has finally come and I reached over 20 followers on both of my blogs! 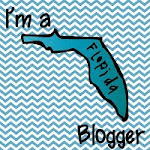 So I am having a give-a-way here for my teacher bloggers and a separate give-a-way on my other blog for my mommy/family bloggers. You can enter both and win a doubly good pink prize! The prize on this blog is "Love, Pinkalicious" by Victoria Kann! I told you it would be PINK! My give-a-way ends on Friday, so make sure you and your friends have entered for a chance to win a book from the "Pinkalicious" collection. All teachers love to add to their library and this will be the bee's knees! 2. Blog about this give-a-way on your blog. Thats all there is to it, just leave separate comments for each entry (3 entries per person). Contest ends Friday, March 4th at 8:00 p.m. I LOVE your blog! I am following you and I blogged about your giveaway on my site. Check it out!